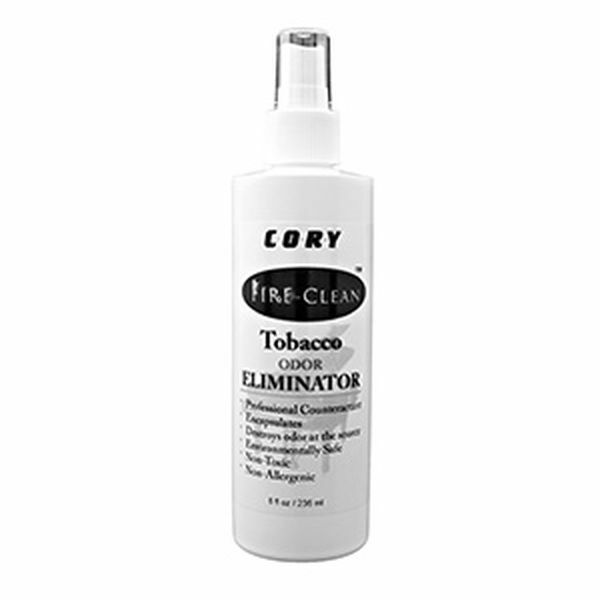 Cory Fire-Clean Tobacco Odor Eliminator is specially formulated for stubborn tobacco odor removal in one easy step! This product is a professional strength counteractant and encapsulant. Use on finished or bare wood, counter tops, vinyl, fabric, ashtrays. We recommend testing for color fastness before full application. I've gone through lots of this magic potion reconditioning an 80-year-old piano that was in good shape, but did have cigarette smoke exposure. It works very well, and I've been very pleased with the results. Another Cory Care winner!